Like most of my hand made sheaths the Rowan Cutlery (ESEE) RAT-6 sheath is born out of a lack of options. The original Rowan Cutlery (ESEE) RAT-6 sheaths are OK but everyone has one and they seem to lack a leather one as standard supplying only a mass produced Kydex version (which wasn't to my taste). After market sheaths are also 2 a penny but very expensive. For those of you that want a leather sheath that isn't the Rowan Cutlery (ESEE) RAT-6 standard but don't want to pay literally hundreds of beer vouchers for it my sheath is one of few choices! 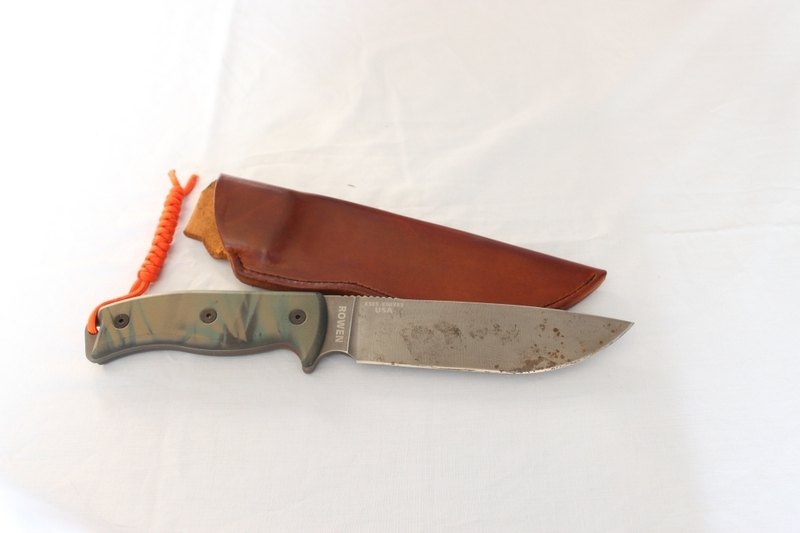 This sheath will protect your Rowan Cutlery (ESEE) RAT-6 for many years.